Hi loves! 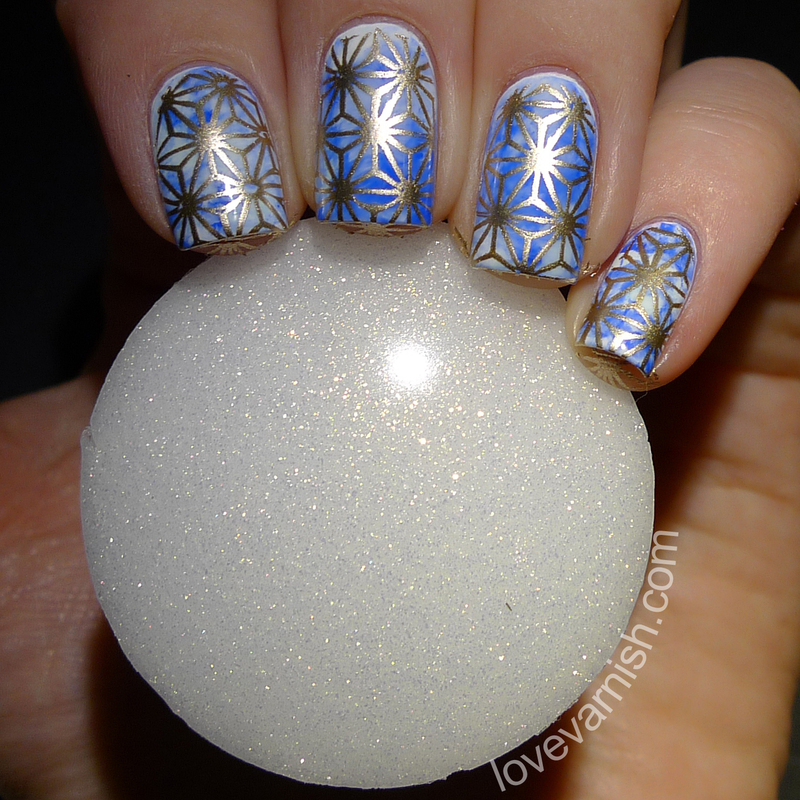 Today I have a little nail art review for you on the Creative Shop Space Stamper in white & gold. 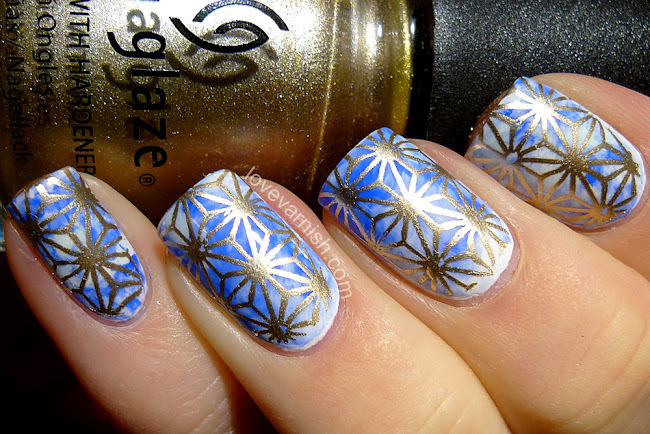 This beautiful stamper is available at Whats Up Nails and includes a flexible scraper. This new stamper is bigger, softer and prettier than the original Creative Shop Stamper, but does it work? Like I said in my intro, this stamper is even bigger than the original Creative Shop Stamper, and it also has a more flat surface compared to the original one. The stamper head is available in 8 different colors: 4 white versions and 4 black versions. I chose to review the white & gold edition and oh my, that sparkle is amazing! The stamper head isn't solid, the inside is actually a wheel shape. The holder is now designed with 2 ridges, making it easier to hold on to - most people used textured polish to give the original holder more grip. You can still easily pop out the stamper head, so that if it doesn't pick up properly you can either give it a wash or store it inside a plastic baggie. Unfortunately, all these improved bits and pieces don't make for a better stamper. It's actually too squishy! At first you might not see any issues with my stamping. It picks up crisp, clear and without any skips in the pattern. But, since it's so squishy, I can't reach to the edges of my nails! I tried to tape up the backside (little tip from Very Emily) so it would have less give, but it still doesn't work for me. I've heard about people having issues with the stamper head denting, this wasn't the case for me and (as you can tell from the amount of polish ending up on my fingertips) I pushed it down far enough to risk damaging it. While the looks are definitely upgraded from the original version, the performance isn't as great as I hoped for. If your nails aren't as curved, this stamper might work for you, but I can't be sure of that so I'm not recommending this stamper (which is a bummer, because pretty!). Have you tried the new Creative Shop Stamper? And what do you think of my experience? Tell me in the comments! Whats Up Nails is based in the USA and provides worldwide shipping for everything except nail polish. They offer a ton of nail art products.